Alkaloids, represent a group of interesting and complex chemical compounds, produced by the secondary metabolism of living organisms in different biotopes. They are relatively common chemicals in all kingdoms of living organisms in all environments. 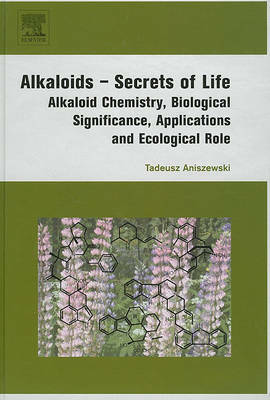 Two hundred years of scientific research has still not fully explained the connections between alkaloids and life. Alkaloids-Chemistry, Biological Significance, Applications and Ecological Role provides knowledge on structural typology, biosynthesis and metabolism in relation to recent research work on alkaloids. Considering an organic chemistry approach to alkaloids using biological and ecological explanation. Within the book several questions that persist in this field of research are approached as are some unresearched areas. The book provides beneficial text for an academic and professional audience and serves as a source of knowledge for anyone who is interested in the fascinating subject of alkaloids. Each chapter features an abstract. Appendices are included, as are a listing of alkaloids, plants containing alkaloids and some basic protocols of alkaloid analysis.